I am most definitely a roller coaster enthusiast. While I love a good modern coaster such as Cedar Point’s Millennium Force, my heart lies with historic wooden roller coasters such as The Racer which is located in Kennywood Park in Pittsburgh. Kennywood is actually home to three historic coasters: the Jack Rabbit, the Racer, and the Thunderbolt. I guess it’s sort of a classic coaster Mecca. I had always loved the coasters the wooden roller coaters at Kennywood but it wasn’t until I was older that I realized how special they were. These coasters are some of the last standing of their kind. A fascinating Kennywood wooden roller coaster is the Racer. The Racer is one of only two of these kinds of roller coasters left in the world. What makes the Racer so special is that it operates on a figure-eight continuous loop track. This gives it the illusion of racing. 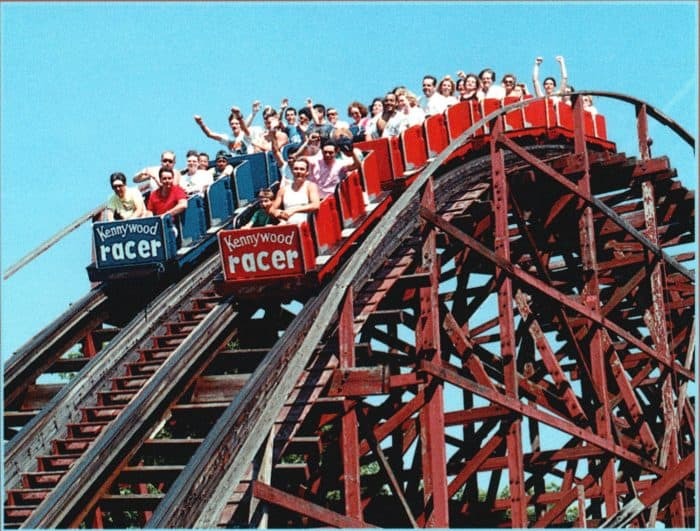 The current Racer roller coaster actually was not the first racing roller coaster at Kennywood. The first Racer was built in 1910 as a side friction roller coaster designed by John Miller and build by Fredrick Ingersall. It cost $50, 000 and when it was built it was the largest racing coaster in the world. 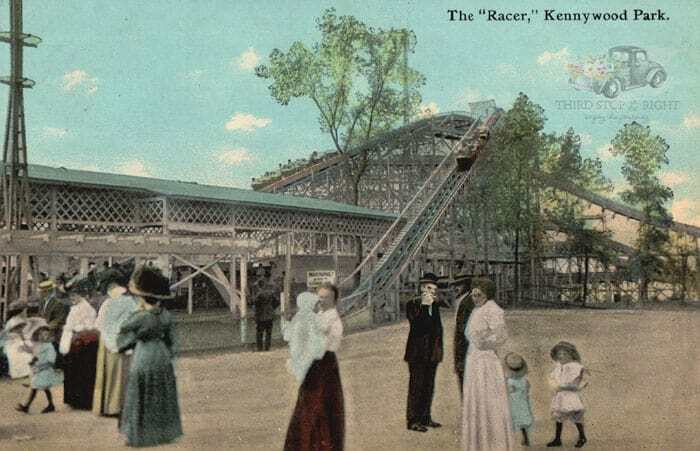 A very rare postcard showing the original side friction version of the Racer at Kennywood. Unlike its predecessor, the original Racer featured two side-by-side trains racing on two separate tracks. Since it was a side friction coaster there were no wheels under the track so the dips and curves were pretty mild. 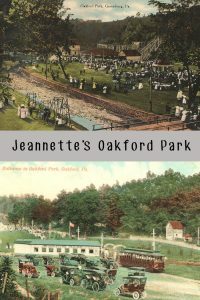 Times were changing and rides were evolving, so in 1926 the original Racer was torn down to make way for Kiddieland. The Racer station featuring its retro facade. After the side friction version of the Racer was demolished, plans were in the works to replace the racing coaster. In 1927 a second Racer was designed by John Miller and built by Charlie Mach. It was billed as a “snappy ride that wasn’t tooo much for mothers and children to ride.” However, even though it was a milder ride, it still cost $75,000 to build. The increased cost came from the fact that John Miller didn’t use the area’s topography as well as he did with the park’s other two coasters. Since the Racer’s highest hill was located in a ravine, it took extra lumber to construct. This version of the coaster used a Mobius loop to achieve the racing effect. With this design, the trains turn away from each other after leaving the station and meet again at the left hill. At this point, the cars are already on opposite sides as they were in the station. The tracks don’t split for the remainder of the ride. Since this version of the Racer had wheels that locked onto the tracks, it permitted the coaster to have banked curves and more dramatic dips. In 1949, the final hill was removed. An iconic sign reads “Don’t Stand Up” with skull and crossbones on each side. Just a subtle reminder to stay safe, kids. 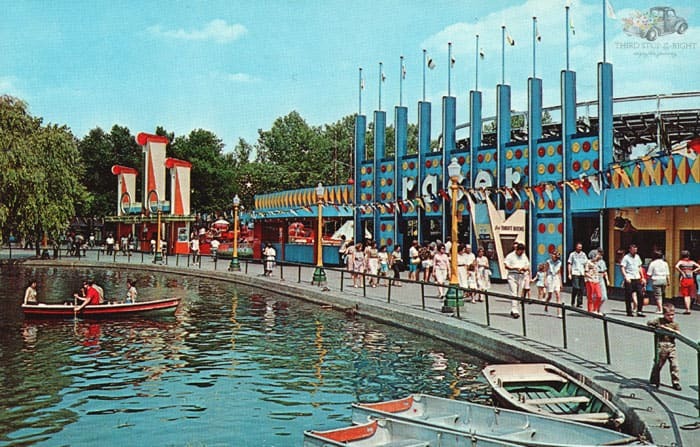 The facade to the coaster was updated in 1946 ad then again in 1960. In 1990 the coaster’s façade was restored to its original 1927 design. Modern day view of The Racer. The roller coaster is 76 feet high as its tallest point with a maximum drop of 50 feet. It travels at 40 miles per hour and lasts 1:30. As many coasters of the time, the trains were manufactured by the Philadelphia Toboggan Company. In a day and age where most people are looking for the biggest, fastest, most vomit-inducing ride out there, Kennywood’s classic wooden coasters are a way step back into a simpler time. Plus, the coasters are not the only historic rides in the park. 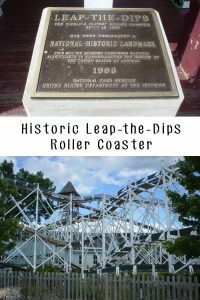 If you want to experience a side friction coaster and the oldest operating roller coaster, you have to check out Altoona’s Lakemont Park which is home to Leap-the-Dips.